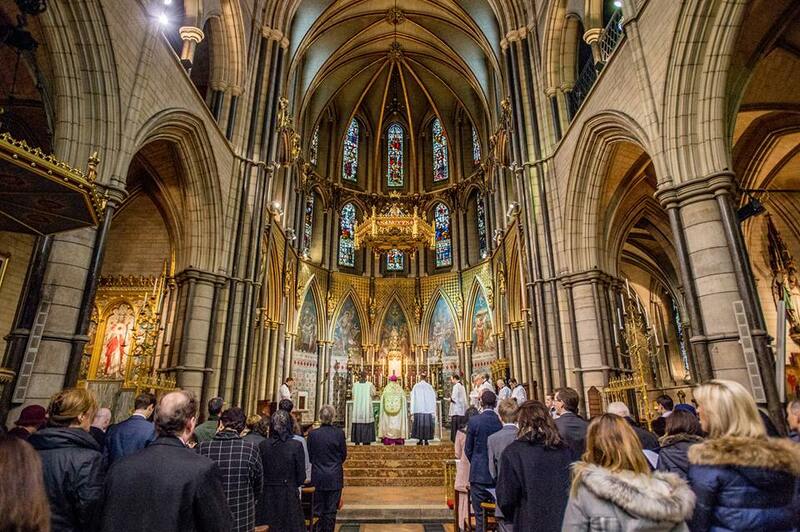 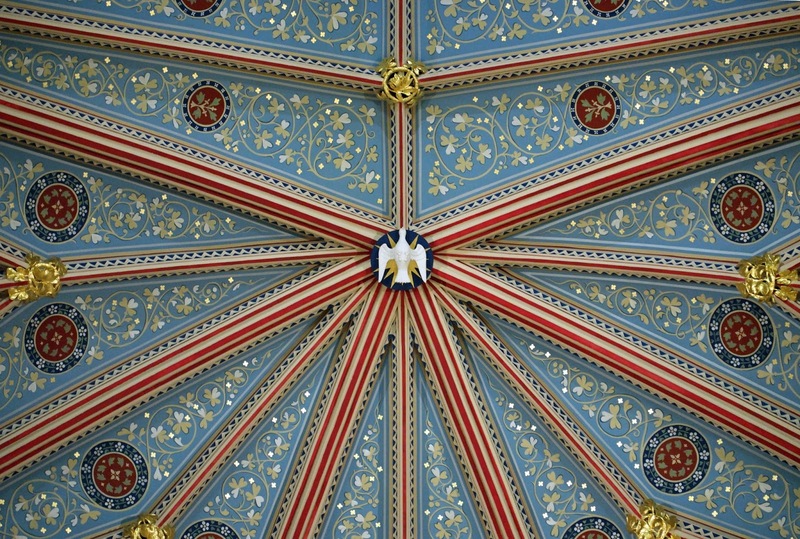 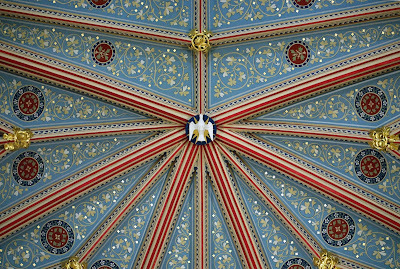 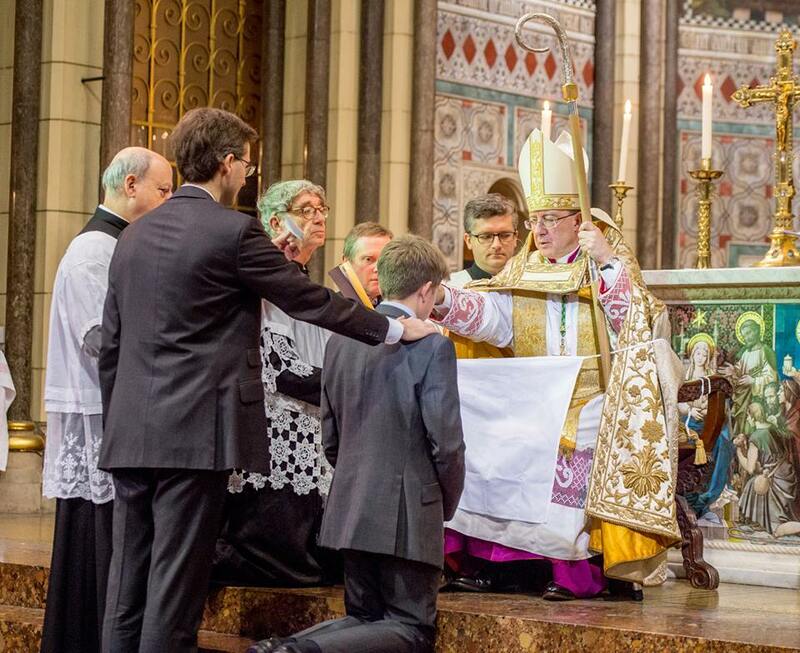 We have recently received photos of two different EF Confirmation ceremonies, one from Ireland and one from England. 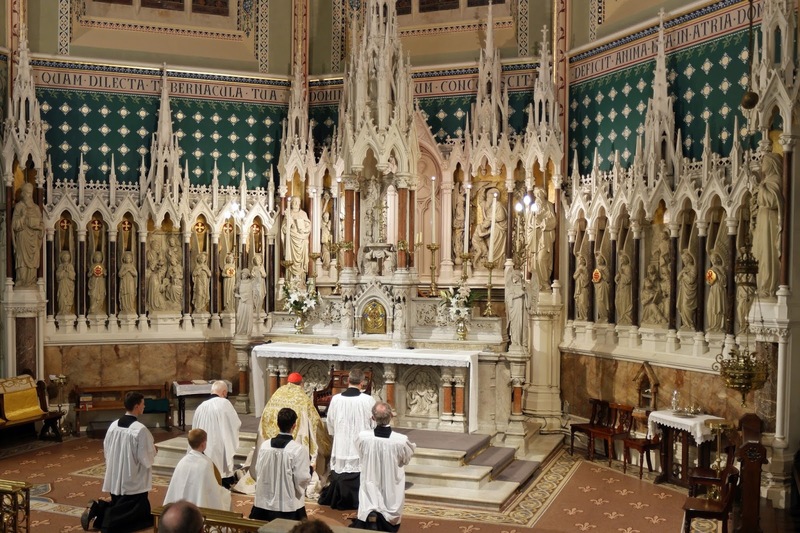 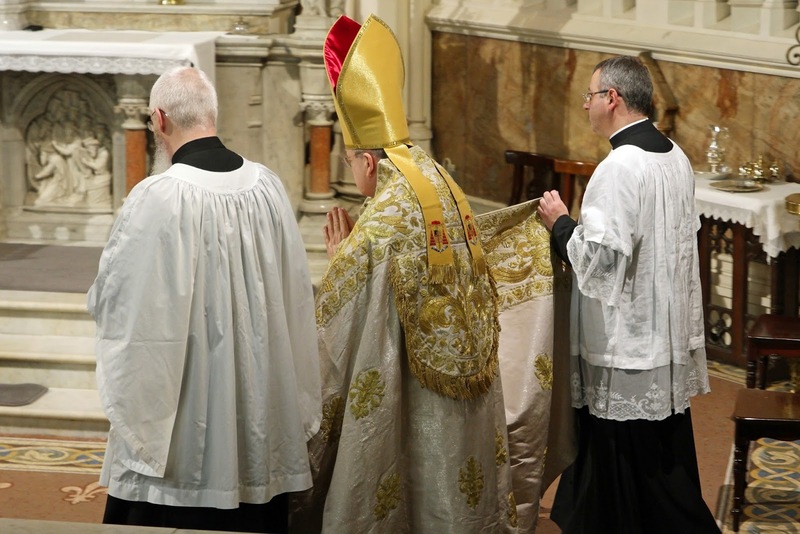 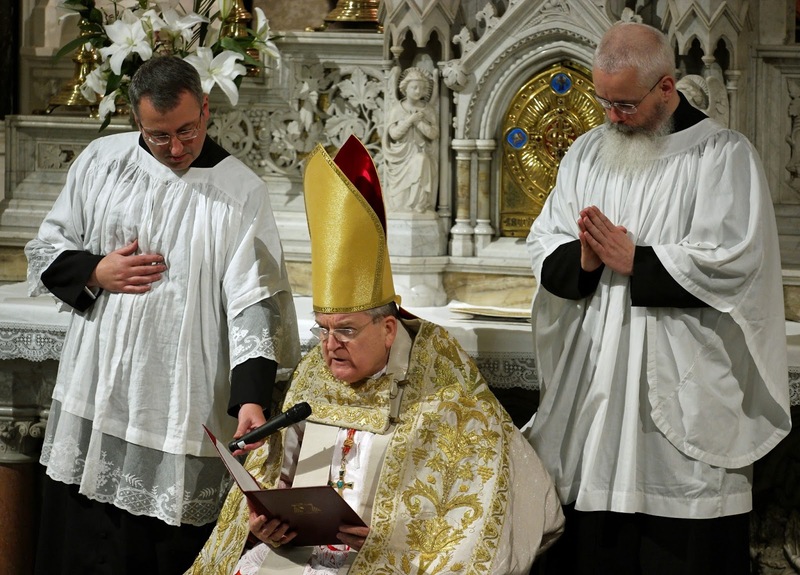 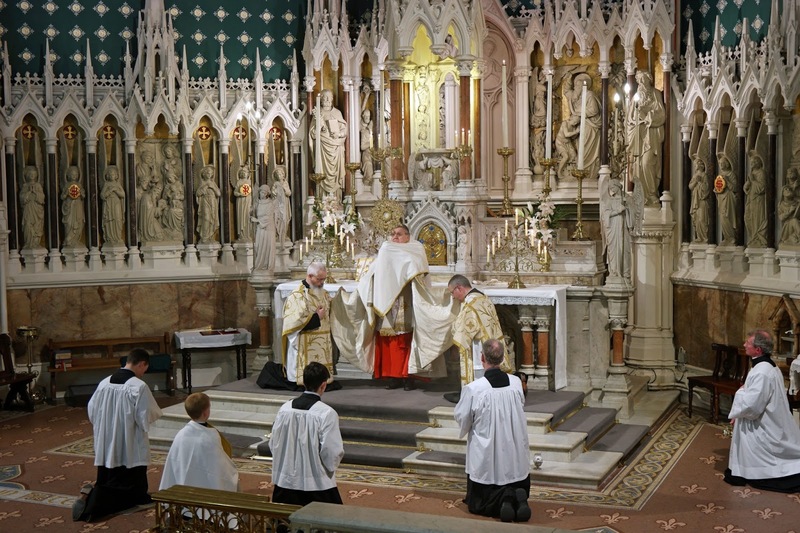 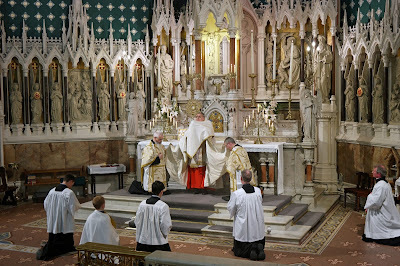 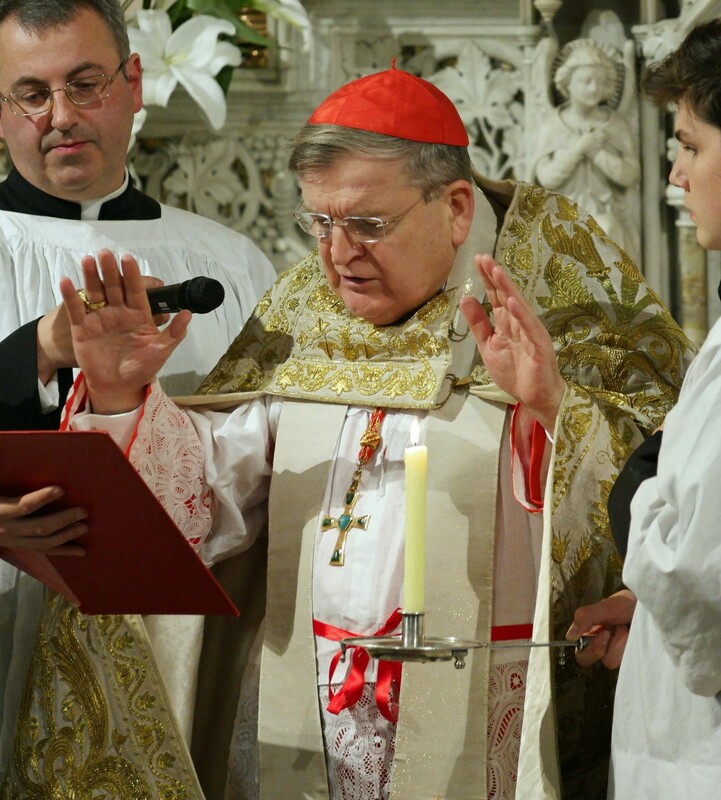 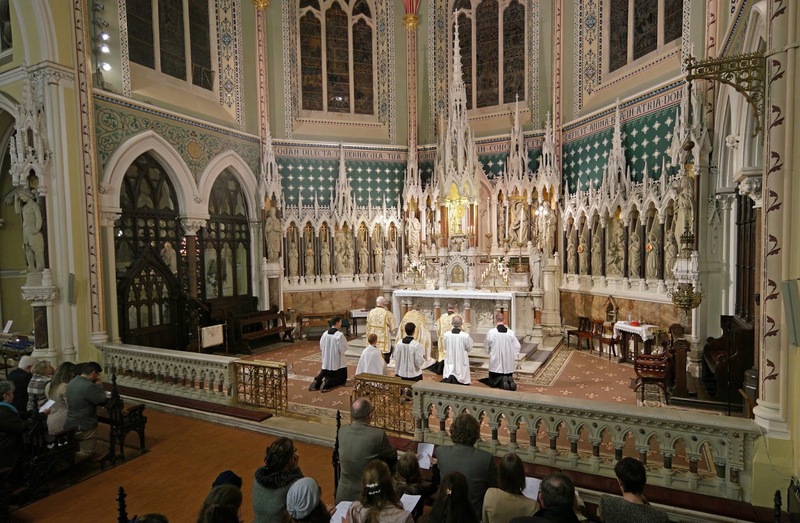 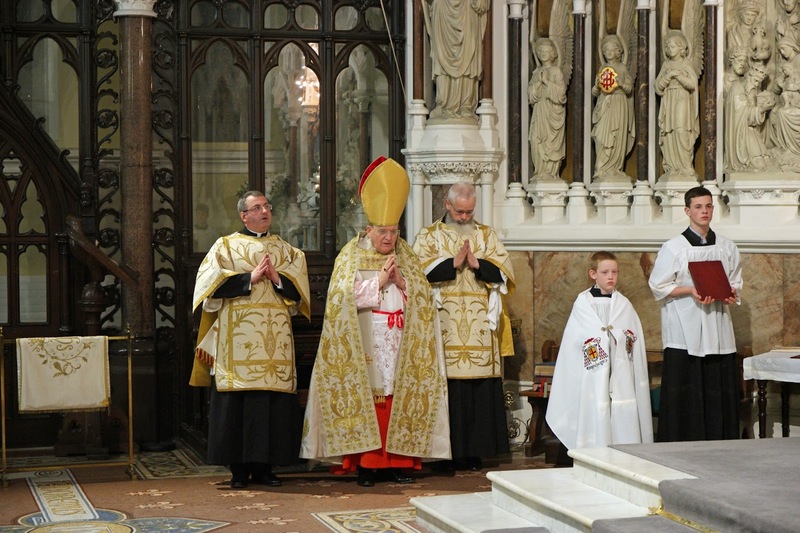 On Tuesday, November 3, His Eminence Raymond Cardinal Burke conferred the Sacrament of Confirmation and offered Pontifical Benediction at St Kevin’s Church on Harrington Street in Dublin, Ireland, the home of the Latin Mass Chaplaincy of the Dublin Archdiocese. Photos courtesy of Mr John Briody; the complete set can be seen here on his flickr account. 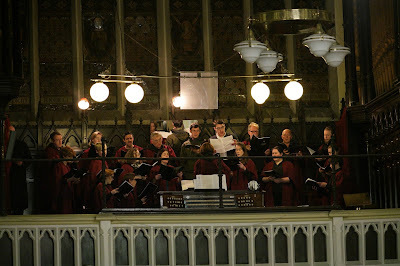 Music was provided by the Lassus Scholars. 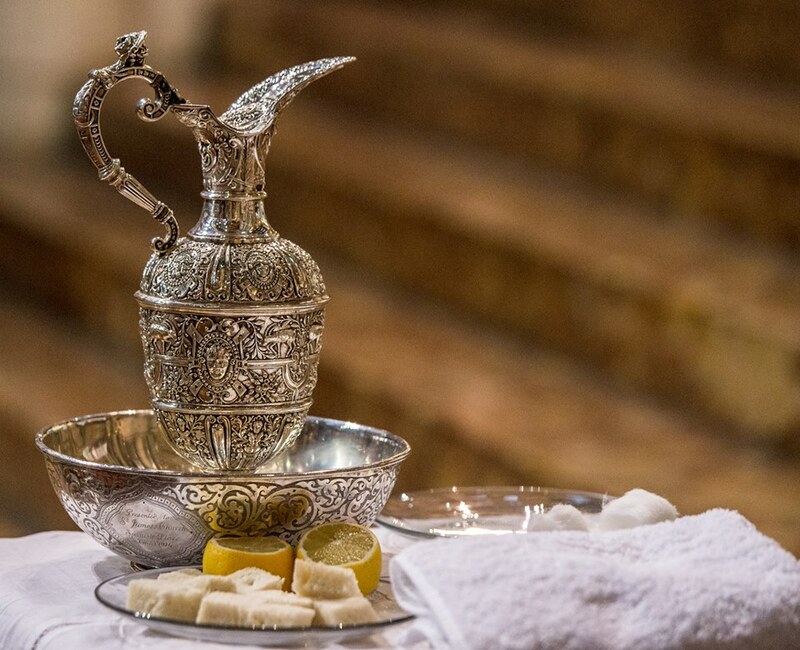 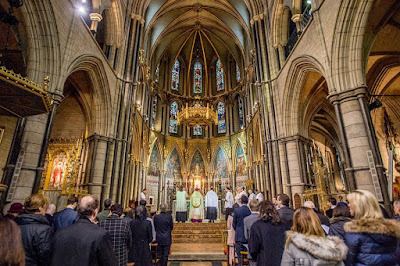 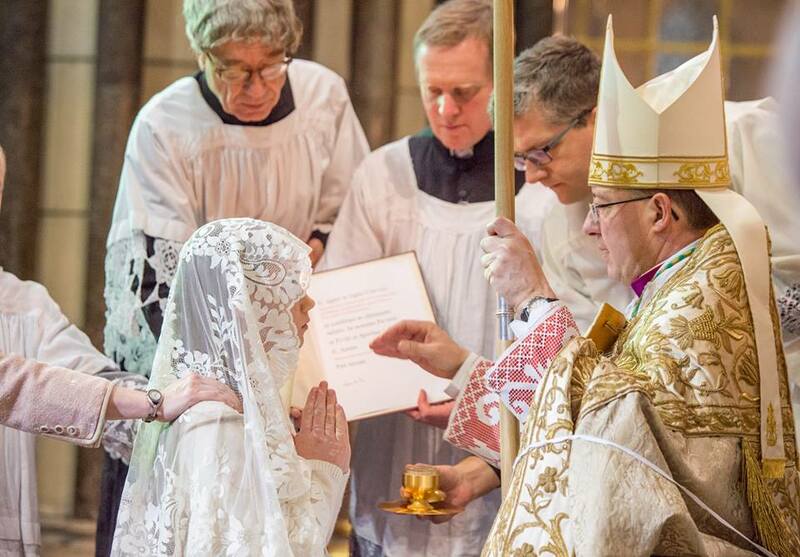 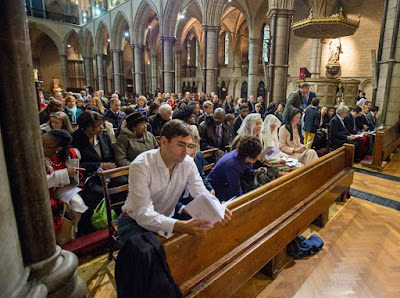 On Saturday, November 12, twenty-one candidates, both adults and children, received Confirmation at St James, Spanish Place in London from Bishop Sherringham, Auxiliary Bishop of Westminster; this ceremony was also followed by Pontifical Benedcition. 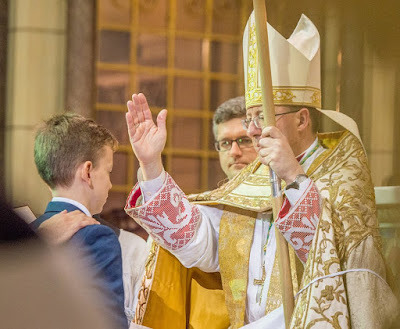 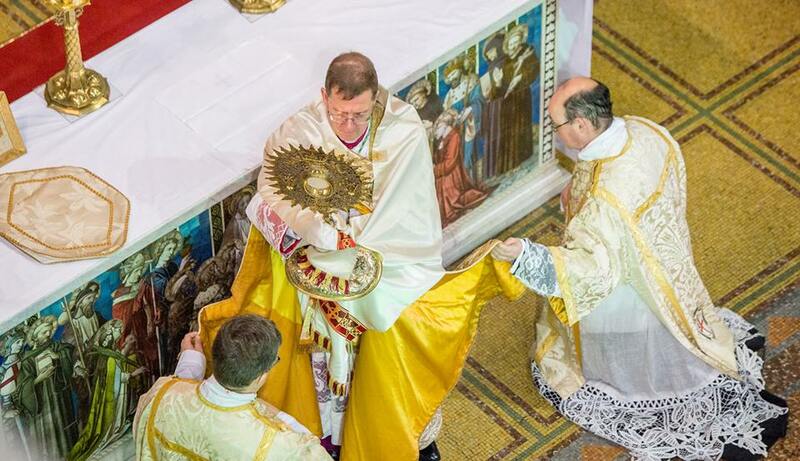 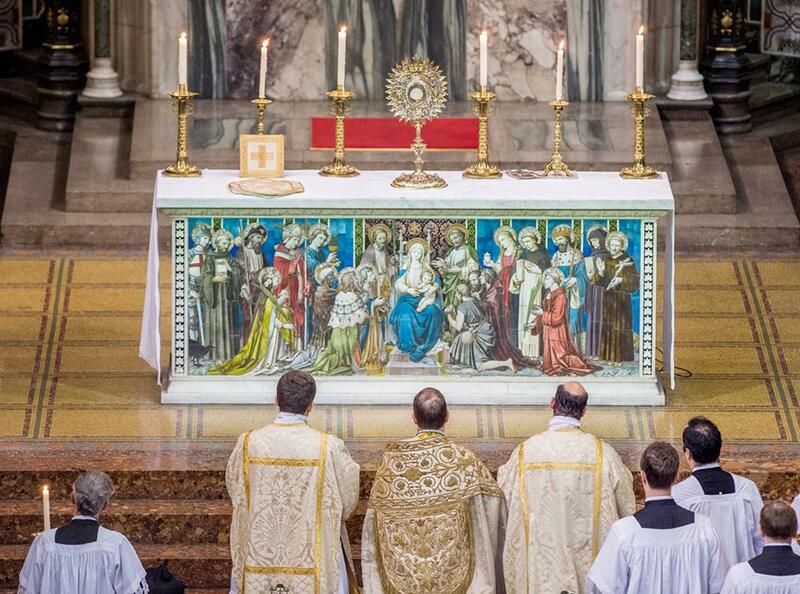 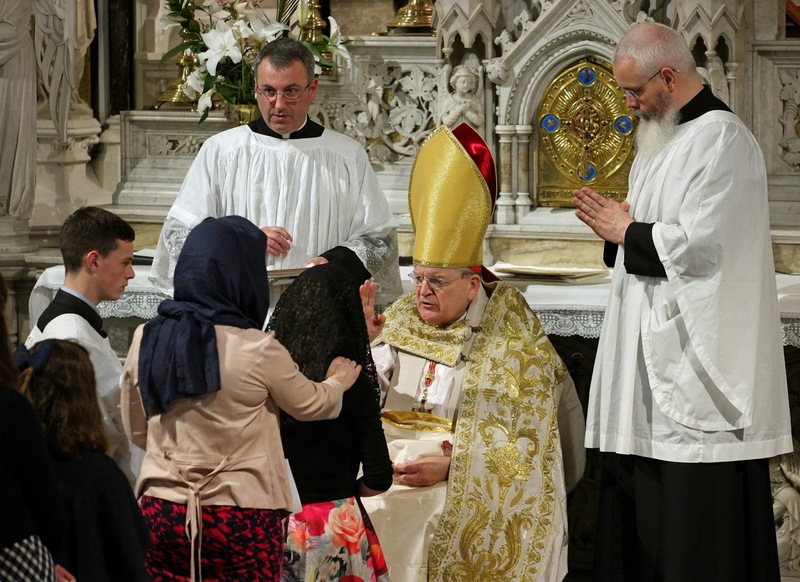 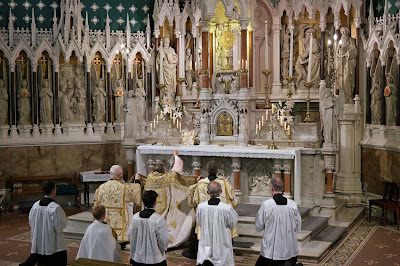 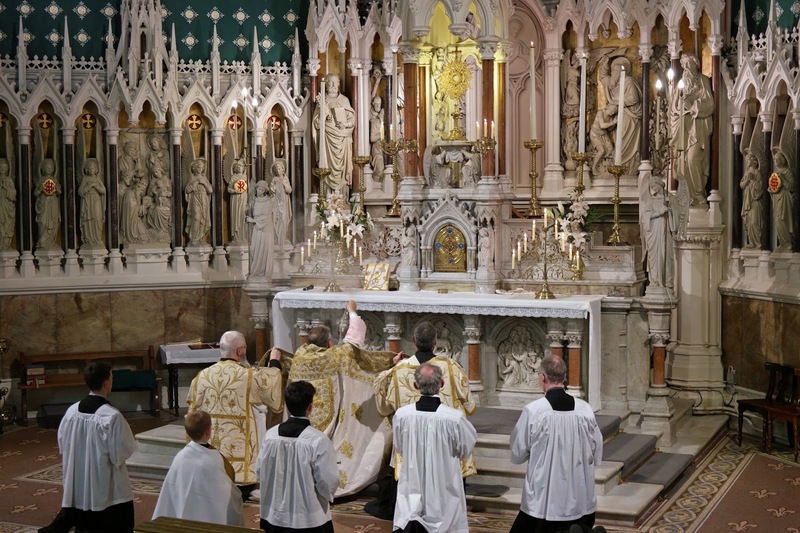 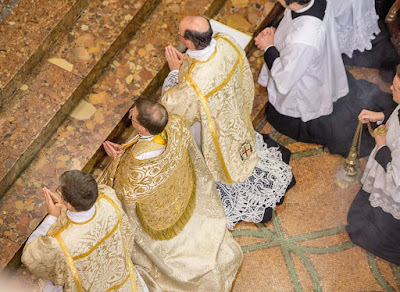 Joseph Shaw, chairman of the Latin Mass Society said, “It is always a joy to see both children and adults receiving the sacrament of confirmation in the traditional form, and it becoming more and more common all around the country. 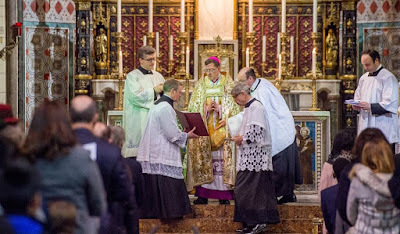 The service at St James’ organised by the Latin Mass Society is open to any Catholics from England and Wales or beyond - we have had candidates from Scotland and France - and we are very grateful to Bishop Sherrington for conferring the sacrament and to the Archdiocese of Westminster for facilitating it.” Photos by John Aron, reproduced with permission courtesy of the Latin Mass Society. 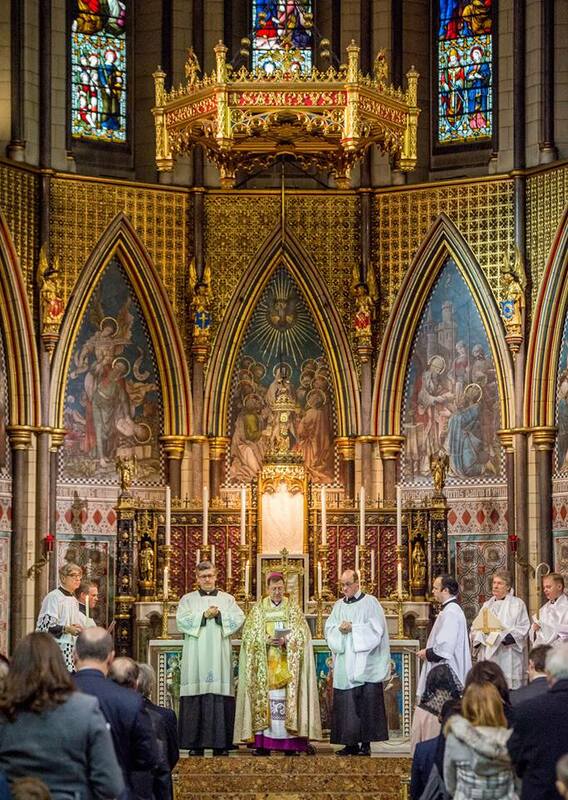 from their Facebook page.